In the hall obtained from the old barn you can enjoy excellent Tuscan dishes prepared with products of our organic farm or other selected farms. The pasta and desserts are homemade, beautiful gray pigs bred in the woods give us good meat and delicious sausages; jams, olive oil and organic honey are perfect to complete a unique tasting, accompanied by a glass of our red wine Sangiovese. 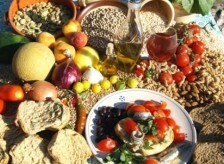 Tuscany is a region with an ancient culinary tradition; it's considered one of the best typical cuisines in Italy. Strong and intense flavours as the Mallegato or the Zuppa Toscana can be discovered or re-discovered in our restaurant. 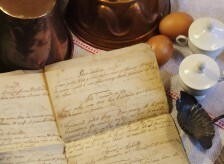 We want to immerse guests in the history of our country rediscovering ancient and authentic flavors through a recipe book that speaks about Tuscany, expertly contextualized and result of meticulous research of old regional publications to offer unique gastronomic experiences. 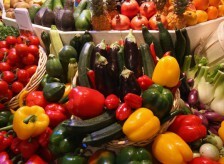 We only use seasonal produce from our own gardens or from organic farms in the area. We want to share our enthusiasm whenever nature, gently caressed, at Cà Lo Spelli give us its fruits. 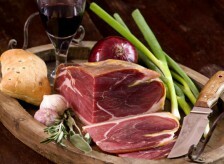 Tuscany is one of the richest regions of typical dishes. Relatively simple recipes which pay great attention to quality and authenticity of the ingredients. Cà Lo Spelli guests can enter deeply into the typicality of a territory that boasts unique flavours.